Overall our new house didn't need much work at all... except for the painted wallpaper in the nook off the kitchen, and the "Old lady" metallic floral wallpaper in the dining room. Obviously that had to go! 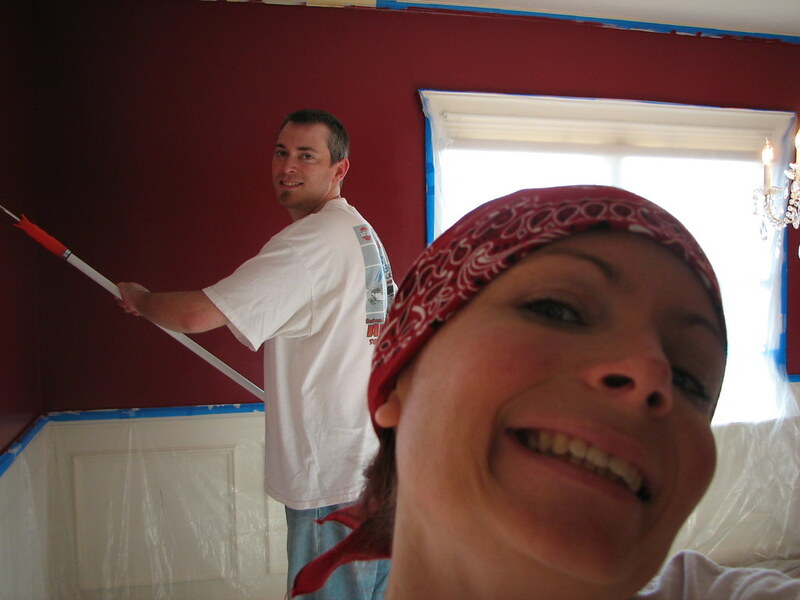 We spent a few weekends at Lowes going though the painting department looking at all the different colors to choose from and finally decided on "Lafonda Geranium Red". Just fyi... the darker the color, the harder it is to paint, kids. 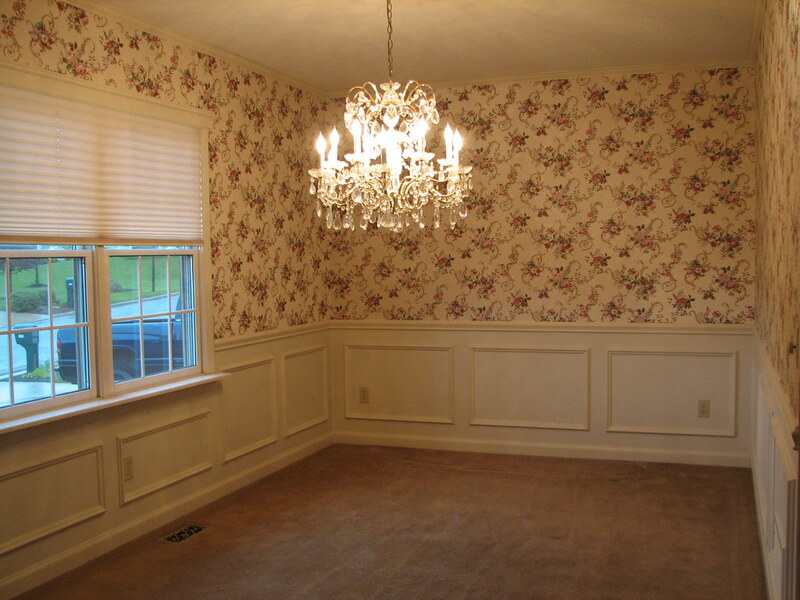 The wallpaper came off very easy in the dining room, but the painted wallpaper in the nook was a whole different story. It came off in pieces and chunks, rather than long strips and took about a day just to get it all removed. 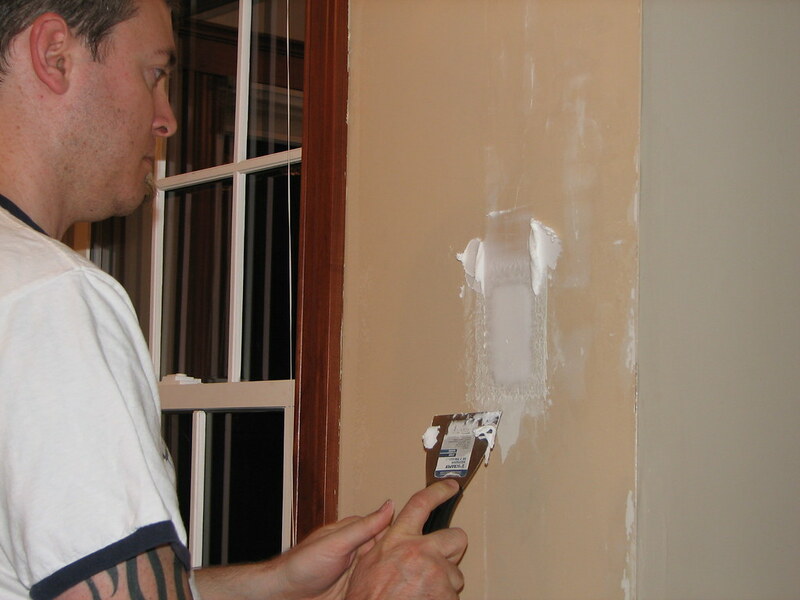 After prepping the walls and fixing a hole where a phone jack was, we were finally we were ready to paint. 2 coats of primer, and 2 coats of paint and we were done. 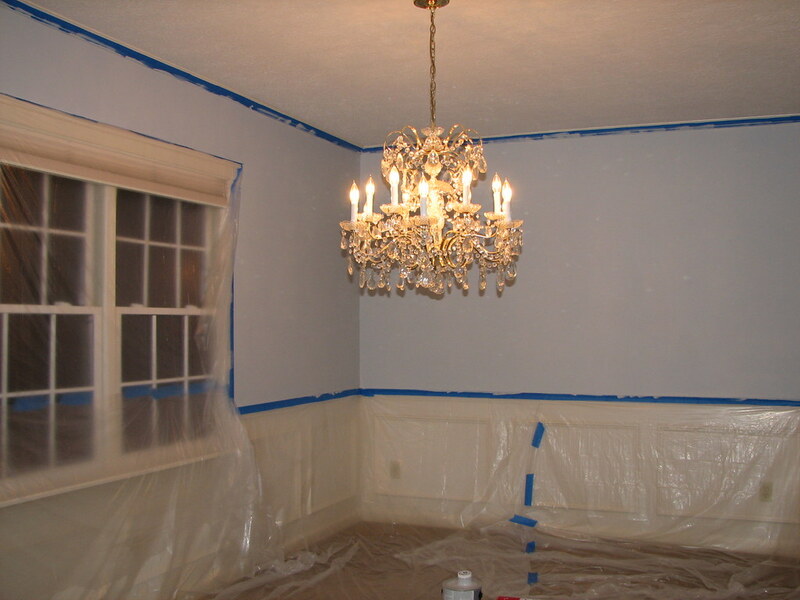 The next hard part was removing the painter's tape. Some parts came off well, but other places the paint stuck to the tape and peeled up along with the tape. $@#&!!!!!!!!!!!! Soooo there's a few places that need touched up here and there, but overall it looks A LOT better than it did before. 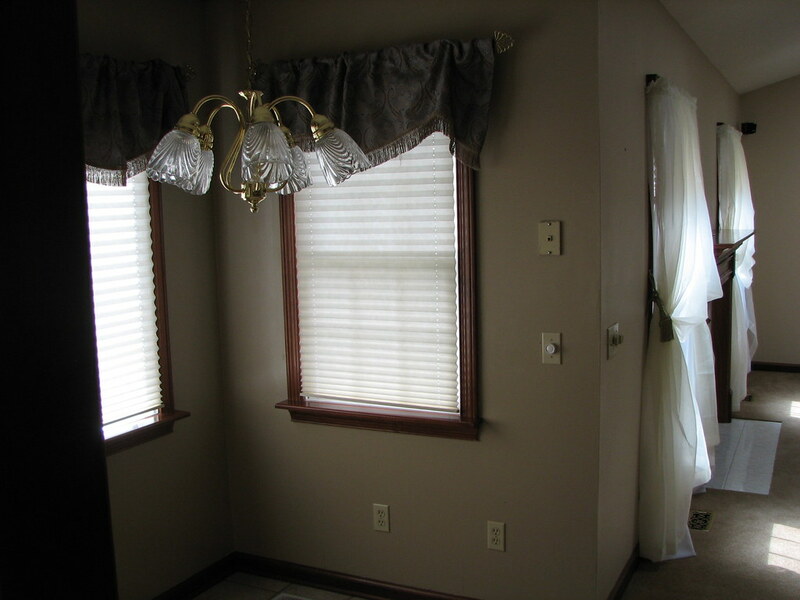 We are glad that we picked the color we did. it goes great with all the cherry wood throughout the house. 2 coats of color... Check! 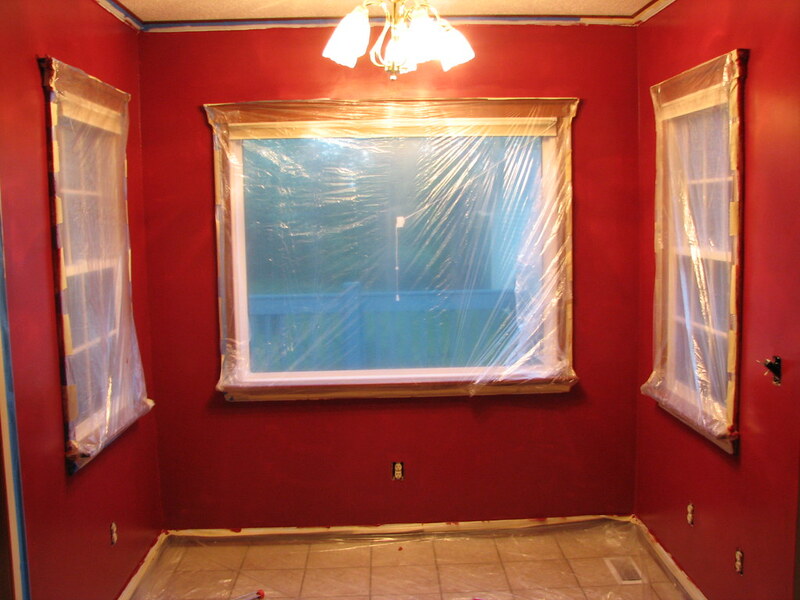 Great job of painting, you guys!Love the color of your dinningroom and kitchen nook! Much better than the "old lady" flowery wallpaper. Are you going to keep the chandlier? It's very pretty with the color on the walls. Can't wait to see your house all finished! Have fun!